Traditional Japanese boro cloths have a beauty like no other. Each cloth tells a unique story of its journey through life with patches carefully sewed on and reinforced with stitching, often over generations of a single family. Boro is my antidote to the fast fashion world. The cloths can be viewed to embrace the concept of 'wabi sabi', that sees beauty in an object's impermanence and imperfection. Making a feature of garment repairs is an alternative to the art of invisible mending. Taking the time to create something really unique is a beautiful way of connecting with a garment or textile, and because mistakes and wonky stitching can be embraced it's the perfect project for beginner sewers like me. 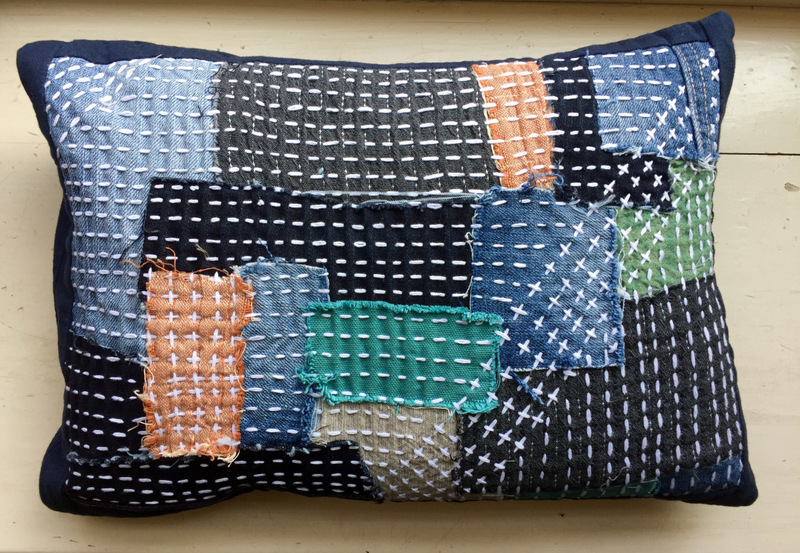 Recently I've been exploring images of boro cloths and sashiko stitching to add some inspiration into my repair repertoire. Although beautiful, boro cloths came about through pure necessity. During the 18th and 19th centuries cotton was a luxury afforded only to the nobility. The lower classes had homespun fibres that were more difficult to make into fabric and didn't last as well. 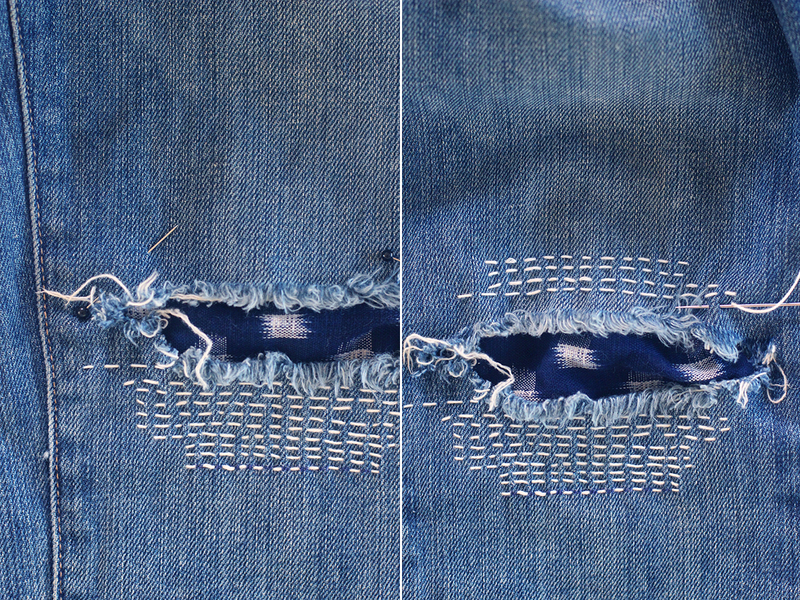 By patching and stitching, the fabric could be strengthend and its life could be extended. During the Edo era there were also laws that restricted lower classes from wearing bright colours which is why the cloths are indigo blue and brown. Boro textiles are now highly sought after collectibles. During these times pieces of cloth were re-purposed in various forms. Often starting off as a kimono then becoming every day clothing, a piece of sleepwear, a futon cover, a bag then finally a dusting cloth. Every scrap was used until it wore out. This relates to the Japanese philosophy of 'mottaini', which centres around wasting nothing of the intrinsic value on an object. 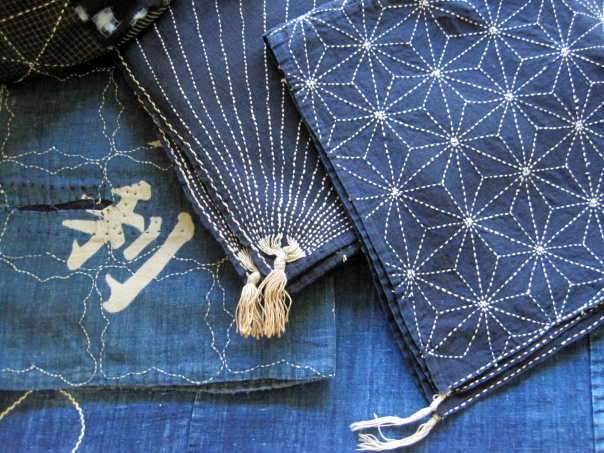 Sashiko stitching started off as a functional running stitch for mending and reinforcing boro, but as cloth became less expensive it developed into decorative embroidery. Each repair becomes a creative challenge. It's a chance for the sewer to express themselves whilst also being an important time for contemplation and mindfulness. This style of making embodies the ideals of slow fashion. 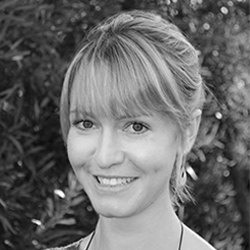 This concept has varying definitions but generally involves the use of sustainable materials, spending an appropriate amount of time with the materials to make an item in order to value and connect to it, and exploring the emotional or spiritual dimension of the process. Where could I try this? What you I do need? Let us know how you went! Take an image and share it on our Facebook page!